It was a two day event at The Carmel Terrace Parking lot, in Carmel IN. Near their solarized battery powered charging station. 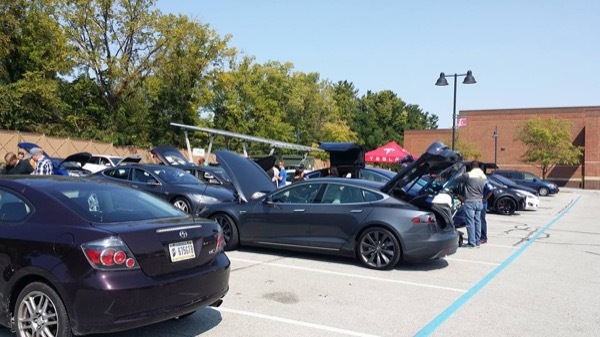 The Sierra Club Heartland Group joined with the Hoosier EV Club to bring in volunteers and EV owners to display their cars and offer rides. Material on EV's was distributed and questions answered. It was a two day event (Sept. 9 & 10th). More people were at the event on the 10th. Also, on the 10th, Team Tesla came to demonstrate several models of their vehicles. Registered attendees report 503,510 electric miles driven.